Indulge in a little luxury with this stunning ladies' watch from Omega. 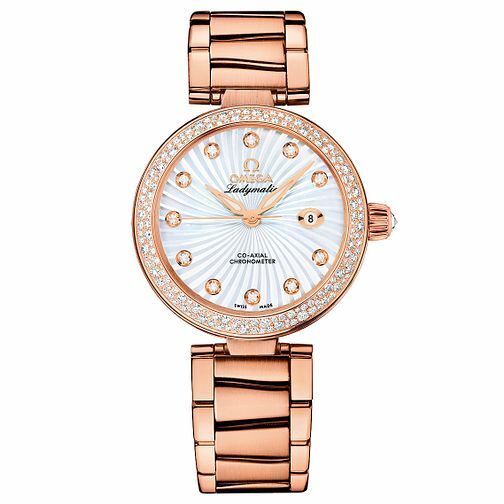 Featuring a sophisticated rose gold bracelet teamed with a sparkling diamond set bezel and dial, the Omega Ladymatic collection defines femininity. With Co-Axial Chronograph movement. Omega De Ville Ladymatic ladies' rose gold bracelet watch is rated 5.0 out of 5 by 1.